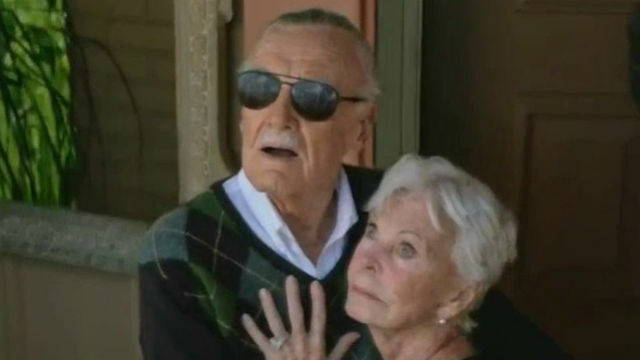 There’s been some debate lately over which movie will have the final cameo by Stan Lee. Joe Russo seems pretty sure Avengers: Endgame contains his last onscreen appearance. But there have been other reports suggesting that Lee was able to film one extra cameo for Spider-Man: Far From Home. However, one place Lee definitely won’t be showing up is in 20th Century Fox’s Dark Phoenix. Via CinemaBlend, writer and director Simon Kinberg confirmed Lee’s absence while promoting the upcoming film at last weekend’s WonderCon. Instead, the filmmakers have something else planned to honor the co-creator of the X-Men. Although the X-Men were one of Lee’s most popular co-creations, his appearances in the film series have been minimal. He made one of his Marvel cameos in the original X-Men film as a hot dog vendor on the beach. By today’s standards, the role was rather inconspicuous, as he had no lines and wasn’t the focus of the shot. After this, Lee only appeared in two other installments: X-Men: The Last Stand in 2006 and X-Men: Apocalypse in 2016. His cameo in Apocalypse was noteworthy because it allowed him to appear opposite his wife, Joan Lee. Would you have liked to see Stan Lee make an additional cameo in Dark Phoenix? What do you think the producers have in mind for their tribute? Tell us what you think in the comment section below!